How cool is this Lego man !?! I wonder how many bricks when into this? How many hours it took to build? 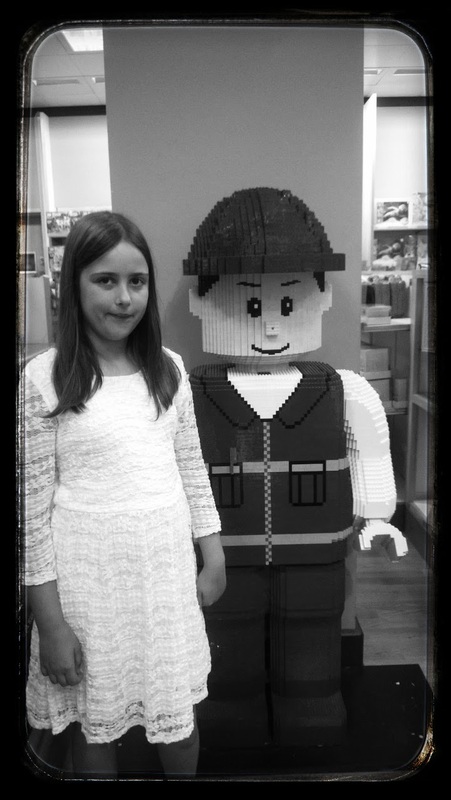 Lovely photo – love giant Lego men. I often find myself wondering the same things when visiting somewhere like Legoland. Such a lovely b&w and so funny b/c as I am reading this there is a piece on the news about legos! The hair, the dress, and the frame.. Classic.Love this shot.